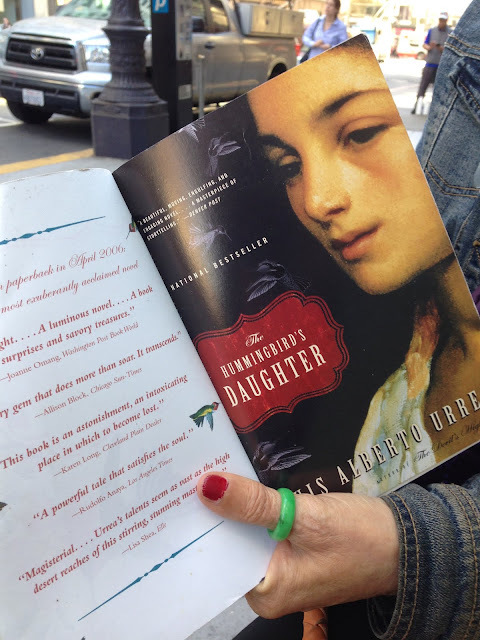 She is reading The Hummingbird's Daughter, by Luís Alberto Urrea. She found this book, and most of the books she reads, at thrift stores and pays about 50 cents. So far, she said, it's worked out great. A couple of her favorite authors are Carlos Castaneda and DH Lawrence. She told me that I looked like a hippie (maybe it was my new black sunhat) and we started talking about it being the 50th Anniversary of the Summer of Love. 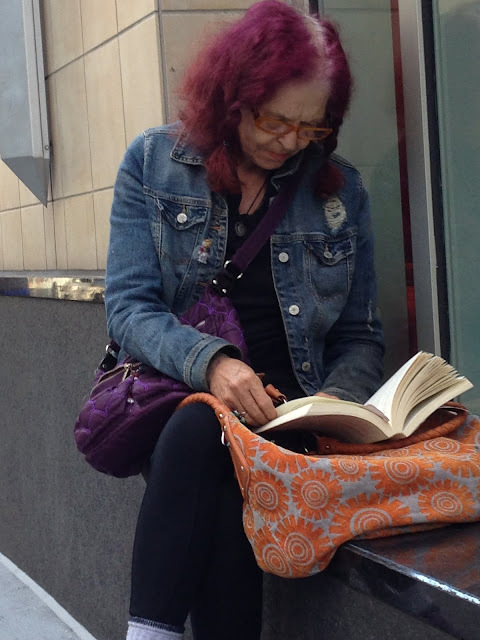 She said she was there, in the Haight Ashbury in 1967, listening to Joan Baez.